Adrenal Fatigue: Tired…all the time. My journey to vibrancy. 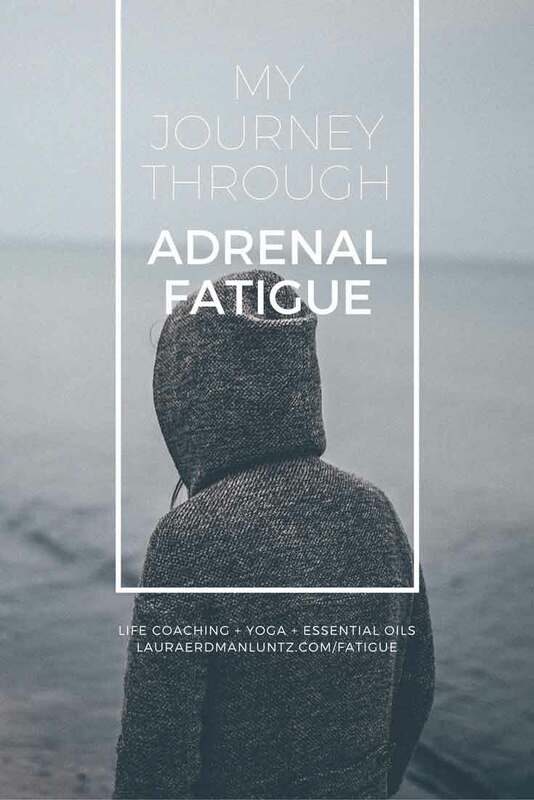 I have struggled with adrenal fatigue for most of my life, living through cycles of extreme, self-imposed stress that wear out my body and mind. I succumbed to adrenal fatigue again this past summer, one of the reasons I have been quiet on this blog for a few months. I kind of feel like I’m “coming out” with this post. For my students, clients and frequent readers, you know I have never professed to be doing everything the “right way”. I often share my challenges, my issues, what I am working on openly and honestly. This time is no different. I believe we can all learn from one another. I know I’m not alone with fatigue and stress. But this time feels different. I really feel quite done with it. I feel a major foundational shift afoot, a desire to change my usual ways to show up in the world in a calmer way so I don’t need to do this again. I thought I would share my process with you, my shift of moving from a generally stressed and freaked out way of being, to one of an even more vibrant mind and body. I am all about specific, tangible steps and I want to share them with you! The adrenals are tiny glands found on your kidneys and are in charge of releasing stress hormones. When we keep ourselves under a constant level of stress (ahem…modern life), the adrenals get worn out. While adrenal fatigue isn’t recognized by western medicine (my doctor literally rolled his eyes when I mentioned it…he isn’t my doctor anymore! ), I have a hard time believing constant stress wouldn’t have an adverse effect on our bodies. It just makes sense. Feeling tired in the morning so it is a struggle waking up — even after 10 hours of sleep! Feeling tired in the middle of the afternoon. I call it the crash. Sometimes it will be so bad, I feel like the flu is coming on. Trouble falling asleep or staying asleep. I often wake at 4am and don’t fall back to sleep until 6am. Anxiety or feeling on edge. I find I am easily startled in the house by my family, too. Weight gain. I gained 20 pounds in a very short period of time that i have struggled to lose — even thought I know how to lose weight and I am doing all the right things! That said, what i will be sharing with you is my own path and story as well as all I have done and am doing to take myself through a profound healing. I am two months into probably a year of work to get back to full vibrancy. Shifting your belief system so you don’t feel as much stress. A nighttime routine to help you get the best night’s sleep. How to get out of bed in the morning and start your day — when you just want to roll over and go back to sleep. Tips for getting through the day with a little more energy. The diet I have been following to help my body heal. A yoga program that is perfect for those with too much stress and fatigue. And, of course, each step has life coaching tips, yoga poses and essential oils you can use to support your process. With the world in such a place of flux as of late, I feel more determined than ever to take control of what I can take control of. Let’s do it together! Comment below with what you are looking most forward to when you are feeling more energized! I will send out an email to you the next time I release on something I do for Adrenal Recovery. I am planning on 1 post per month. I am thinking it will give you time to integrate what you want from the post. Check your inbox for a confirmation!